Add New Product to the selected Group. Add Existing Product to the selected Group. Add New Group of Software Products. 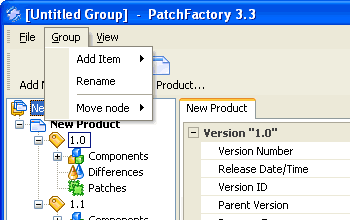 Move selected Group node Up. Move selected Group node Down.